Teaching kids about different concepts can be quite a challenge. Sometimes, even the simplest explanations you can come up with can still have them stumped for further explanations. The best way to teach kids is always making it an experience rather than just all talk. Kids need to see, listen, touch and feel for them to usually grasp or understand basic concepts. Books that can help add different learning aspects such as the TouchThinkLearn Shapes Board Book add a unique twist to just reading books. TouchThinkLearn Shapes Board Book is a unique and wonderful book for kids to learn about shapes. It offers a dynamic way of teaching kids about shapes. Not only will they learn about shapes by reading the book, they can also see the image and trace its shape. The board book makes it possible for shapes to be die-cut or raised out of every page. Through the tactile experience and stimulation, kids can then try to find everyday things or objects that follow the same shape. The TouchThinkLearn Shapes Board Book can teach kids about eight different shapes- the circle, half circle, spiral, oval, square, rectangle, triangle and diamond. There are 20 pages for kids to explore about shapes. 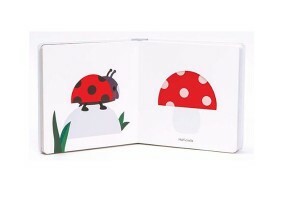 The TouchThinkLearn Shapes Board Book is ideal for kids 3 years old and above. It is available at Fat Brain Toys for $15.